2018 has been another very busy year. Guiding eleven group photo workshops in four different countries, I had the opportunity to meet and spend time with a lot of passionate photographers in some truly amazing locations. Admittedly, 2018 wasn’t my most productive year of photography. Between workshops I spent a fair bit of time away from cameras on several climbing adventures and simply enjoyed time in the outdoors without distraction. As much as I love the pursuit of making images, I’ve found it to be very important to my photography to occasionally step away and recharge my batteries so to speak. With that said, I did manage a few images that I’m quite pleased with. I hope you’ll enjoy this selection. Would love to hear if you have a favourite! After the setting sun tucked behind the high peaks of the Andes, a faint glow filtered through the cloud forest canopy, illuminating this Sword-billed Hummingbird. 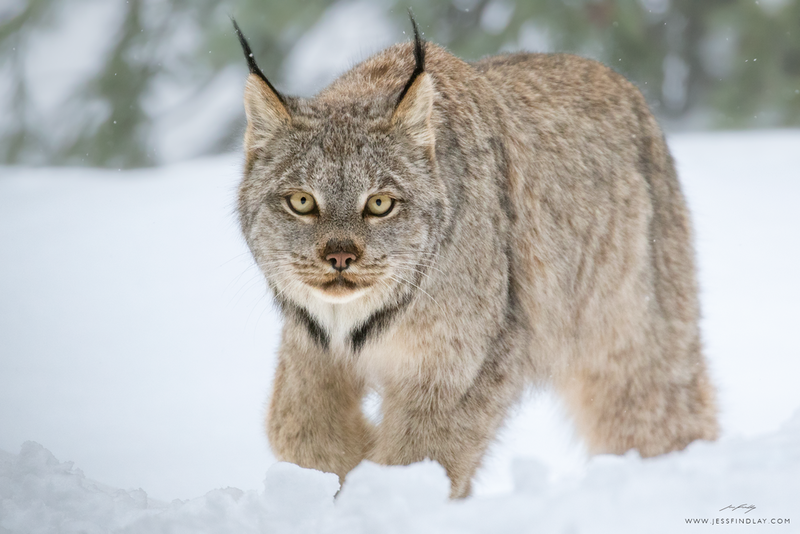 After five days of tracking on snowshoes, my path finally crossed with this beautiful Canada Lynx in the backcountry of Manning Provincial Park, British Columbia. A beautiful Snowshoe Hare munching away on its staple winter food source, the needles of a lodgepole pine. Despite finding dozens of sets of Hare tracks each day during my search for Lynx, this was the only one I actually laid eyes on over the course of about sixty kilometres of off-trail snowshoeing. A male Resplendent Quetzal perched on a limb adorned with an assortment of beautiful bromeliads and orchids. A fairytale-like scene from the cloud forest of Costa Rica. The temperate rainforest during the height of spring. Seen here, a lush carpet of bleeding hearts and lady ferns blankets the forest floor, beneath the moss-laden limbs of vine maples and a fallen red cedar. A Townsend's Warbler sings from high atop a Douglas fir in the Coast Mountains of British Columbia. 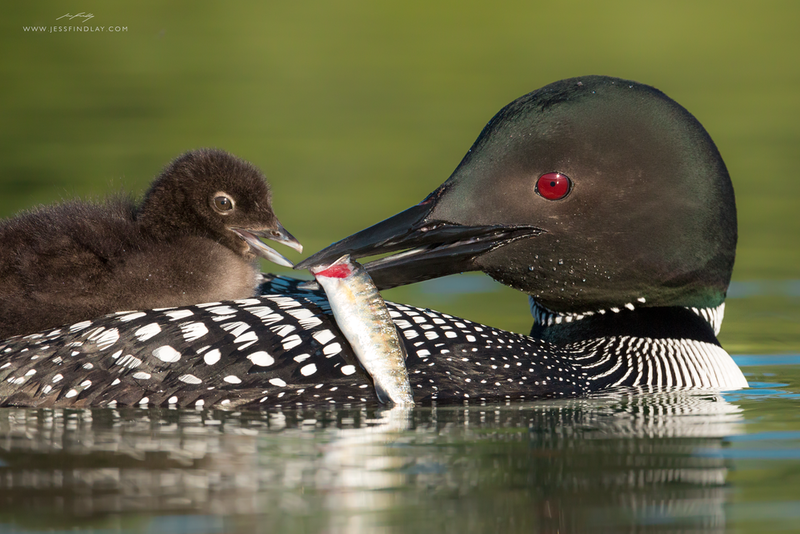 An adult Common Loon feeds its few day old chick a rainbow trout fry just after sunrise on a lake in British Columbia’s Interior. 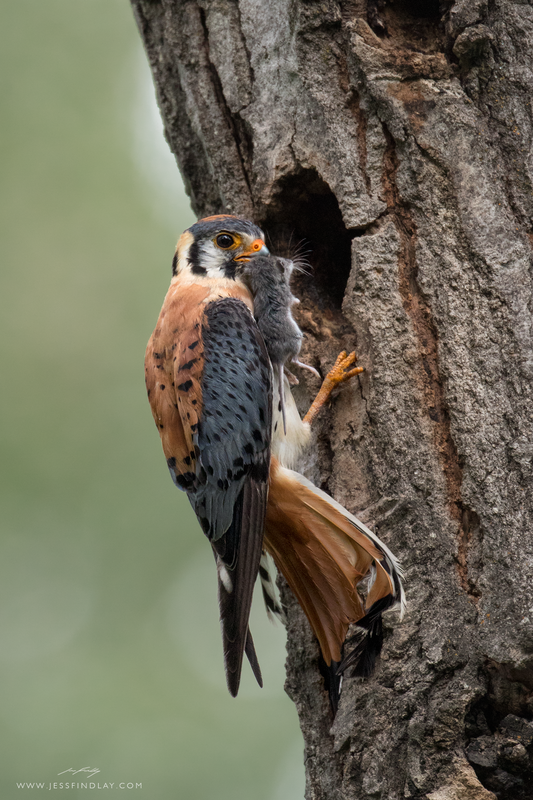 With a freshly caught mouse destined for its hungry chicks, a male American Kestrel pauses at the entrance to his nest cavity in a trembling aspen. 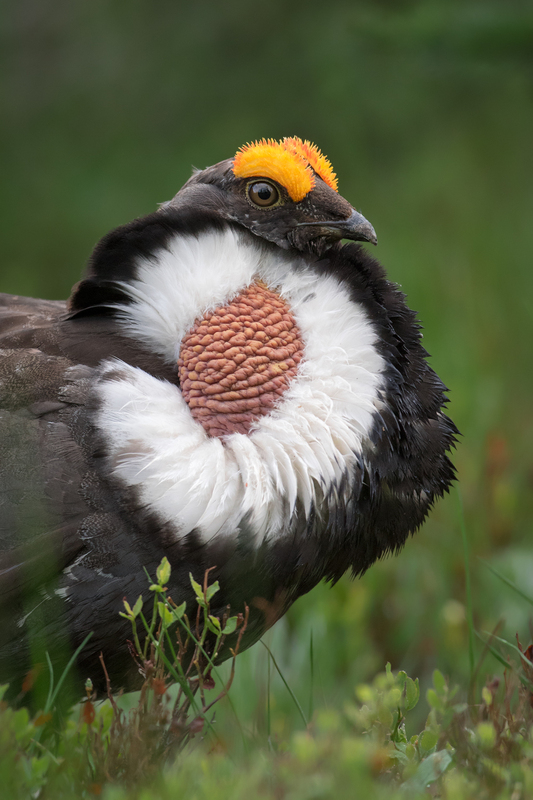 While displaying to a potential mate, the air sacs and wild eyebrows of this male Sooty Grouse become engorged. Photographed during my annual Manning Provincial Park Photo Workshop. A male White-lined Monkey Frog photographed at the edge of an oxbow lake deep in the Peruvian Amazon. Thanks to all of you that supported me in one way or another this past year! Join me on a photo workshop!